Take your medical and nursing OSCE revision on the go. OSCE PASS brings you a comprehensive all-in-one app that contains all the resources you require to pass your clinical skills exams. We bring together our video demonstration guides, step by step written guides and a unique ExamineMe checklist that lets you put yourself and friends to the test. Objective Structured Clinical Examinations (OSCEs) are important assessments that all medical, nursing and midwifery students have to pass in order to qualify. We felt that the resources necessary for this were scattered and often difficult to navigate. OSCE PASS contains over 20 written examination and procedure guides which have been peer reviewed and written by doctors. The test yourself mode allows you to work as a team and use our expertly created trainer to tick off each step as you assess an examinations or procedures. The intuitive system also highlights key points that you may be forgetting, to help you focus on your weak areas. This new revision tool also gives you the choice of setting your own timer for each station. This app allows you to have all the written content from www.oscepass.com website at your fingertips even without an internet connection. So no more boring train or bus journeys! We have also provided some top tips and info to help students with their revision and also how to best approach the day of your assessment. The proceeds from this app will be used to keep www.oscepass.com FREE for all our students worldwide. We will also be expanding our YouTube channel that has over 17 thousand regular subscribers and over 5 million views to help more medical and nursing students pass their exams. 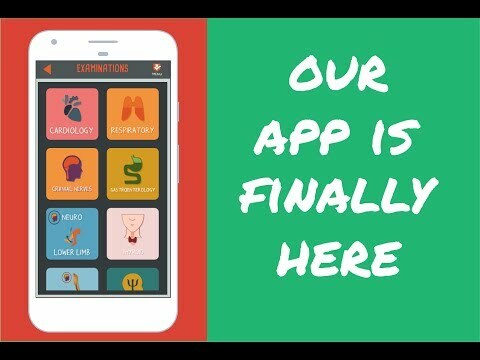 So if you value our work and want to have the unique features in this app, please download and share with your fellow students. If you have found any bugs or app issues/suggestions/ideas/ or fancy joining our team we would love to hear from you, email us at info@oscepass.com.